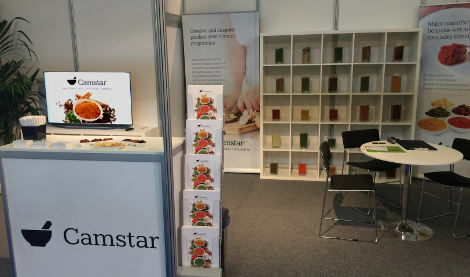 The tagline for the 2015 Paris Show for Food Ingredients Europe was "Discover Innovative Ingredients". Plenty of opportunity for that at the Camstar booth. Camstar had a strong prescence at the event, with CEO Ed Starke and Group Sales Manager Martin Hoxworth, pictured here, also being accompanied by Camstar Ingredients Directors Ben Land and Steve Clemenson.